5 Reasons to Thank Your New Siding! No moisture problems here! The primary purpose of siding is to protect your home, mold and foundation from rain, snow, sleet, ice and other elements. New siding acts as a weatherproof seal to protect your home from water damage, unnecessary heating and cooling, and other structural problems. Less time for Maintenance = More time to Relax. If your weekend plans include painting or power washing the exterior of your home, we feel your pain. An added benefit of durable HardiePlank or high-quality vinyl options is that they do not need much in terms of maintenance. A solid investment for your property value. Replacing siding is one of the most inexpensive ways to improve your home, and can help make a home’s exterior look virtually brand new. This relatively inexpensive upgrade can also mean more dollars in your pocket down the road: on average, siding adds a 78 percent return at resale and once installed, it requires little maintenance and lasts for many years. Doing your part to save the world! 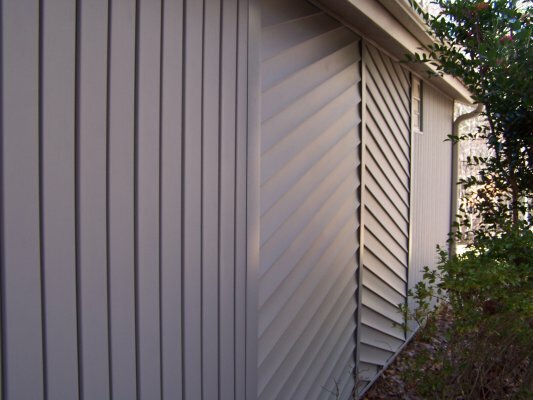 Okay, that one may be a slight exaggeration, but fiber cement siding options like HardiePlank are often proclaimed as the green alternative to vinyl and are made up of sand, cement, and wood pulp. During the manufacturing process, Fiber Cement emits fewer dioxins as well as there is no release of dangerous fumes. Either way, if you opt for any variety of new siding – from James Hardie to vinyl to wood – you will be reducing your energy costs, which in turn reduces your carbon footprint. If you are instead living with old siding that is showing its age, you are probably not experiencing these same benefits listed above. Invest in the longevity of your home by making the switch to improved siding options from Raleigh Durham’s trusted home improvement contractors at Gerald Jones Company! Give us a call for your free estimate today – 919.286.1700. This entry was written by Gerald Jones Company, posted on October 7, 2016 at 1:42 pm, filed under Uncategorized and tagged HardiePlank, home remodeling, home upgrade, Siding, vinyl siding. Bookmark the permalink. Follow any comments here with the RSS feed for this post. Both comments and trackbacks are currently closed.